Super Kirk to the Rescue! Sycorax Fallout: PM in Deeper! Mad Copper in Comatose Time Travel Shocker! Flip Top Head Cheerleader Murder! Out-there FBI Agents Mulder and Scully met their match yesterday when they investigated the lovable alien menace of the Teletubbies. Special Agent Dr. Dana Scully, voted 'Worlds Sexiest Sceptic' for three years running in the mid 1990's by Trouser Suit Monthly, yet again denied the existence of aliens - instead suggesting the Teletubbies were really drunken dirty old men in costumes, who just wanted to impress young women in pubs. Scully's partner, Special Agent Fox Mulder, well known for his outrageous explanations that fly in the face of all reason, predictably suggested a more convoluted idea: "I believe these creatures are not only Extra-Terrestrial Biological Entities but they are also working in collusion with a shadow organisation within both our government and that of the UK to seed the idea of Extra-Terrestrials in the minds of our young - to prepare our children to worship and act as slaves when the inevitable invasion comes!" 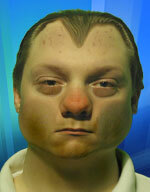 Little has previously been known of the Teletubbies. Rumours persist that their famous craft is buried in the remains of a Hobbit town, after the colourful aliens forced the unfortunate midgets from their homes. Particularly scurrilous rumours even suggest that the Teletubbies took the Hobbits into slavery before selling them on to George Lucas in 1975, who has since used them in his Star Wars films and even hired them out to the sinister pie company Ginsters for a set of adverts. 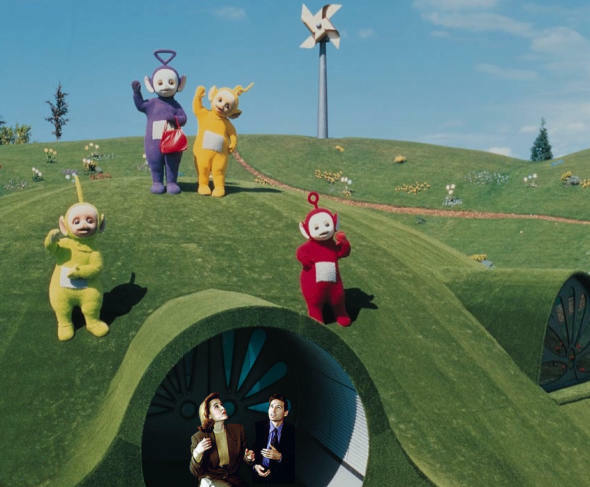 At the showdown in the remote location, now known as Teletubbyland, a mysterious disembodied voice was heard saying "Over the hills and far away, Teletubbies come to play..." before the giant aliens attacked the two FBI agents. Mulder recalls: "They all said something like 'eh-oh' and suddenly they were on us. The big burly one, Twinky Winky I think, struck me across the side of my head with his handbag. Scully was knocked down by Laa-Laa's large inflatable ball and Dipsy began splashing all over her with his 'Teletubby Custard'..."
Scully was last seen being carried away on a scooter by smallest Teletubby, Po, less than assisted by the bizarre vacuum cleaner being known only as the Noo-Noo, that allegedly was acquiring a taste for clothes. Mulder continues: "I had to get out of there quick, they were trying to make me into 'Tubby Toast' with a Big Hug... I didn't even have time to pick up my cell phone. Scully didn't get a chance to do that alien autopsy she was looking forward to..."
Some have suggested that Scully went partly willingly with the Teletubbies, fed up of her rational theories turning out to be wrong every single week against Mulder's almost impossibly improbable ideas. Friends of the red headed agent quote Scully: "Just once! Just once in eight years - is that too much to ask?!" Either way, the fate of Agent Scully is still in doubt as Mulder and his superior, Assistant Director 'Skinman' Skinner, prepare for a daring raid to retrieve the kidnapped colleague because, as Mulder puts it, "We love each other very much!"